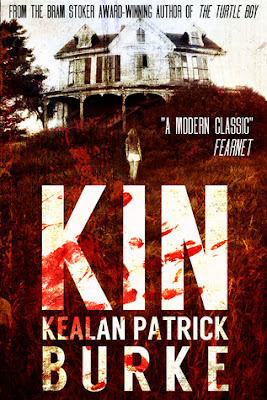 It's time to return to Elkwood.In the spirit of such iconic horror classics as The Texas Chainsaw Massacre and Deliverance, Kin begins at the end and studies the possible aftermath for the survivors of such traumas upon their return to the real world — the guilt, the grief, the thirst for revenge — and sets them on an unthinkable journey... back into the heart of darkness. First let me say what a pleasure it is when an author interacts with his readers and makes them his fans. 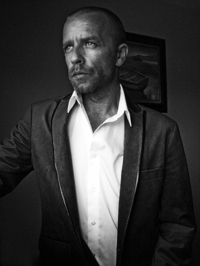 Not only is his mind dark and twisted (just the way I like it), he's also hilarious and fun to social media with. I put a little about the author and his social media links after these reviews - take a peek and stalk, stalk, STALK! Phew - this book starts out right into the grime and horror filled story that I have always loved. We get introduced to Claire, the only survivor of the Elkwood massacre... and this cannibalistic family is coming for her. EEK! The author then introduces other key characters and we see this story through various points of view. SO MUCH LOVE FOR PETE! This is the perfect book for those who like movies such as Wrong Turn, Texas Chainsaw Massacre, and We Are What We Are. Ed Gein elements clearly are included. I'm off to satiate my hunger with MORE of Burke's books. Horror fans, GET IN HERE! When a book has a cover like this and has fellow gore fans loving it, then I knew I needed to pick up KIN by Kealan Patrick Burke. Hearing comparisons to Texas Chainsaw Massacre was enough to grab my interest! The gorier and scarier the better, if you ask me. This book starts out with a bang! Claire and her friends are hiking through Alabama when they, unfortunately, cross paths with a family of cannibal hillbillies. Sounds great, right? Well, Claire loses more than just her friends that day - but she manages to make it out of there alive. 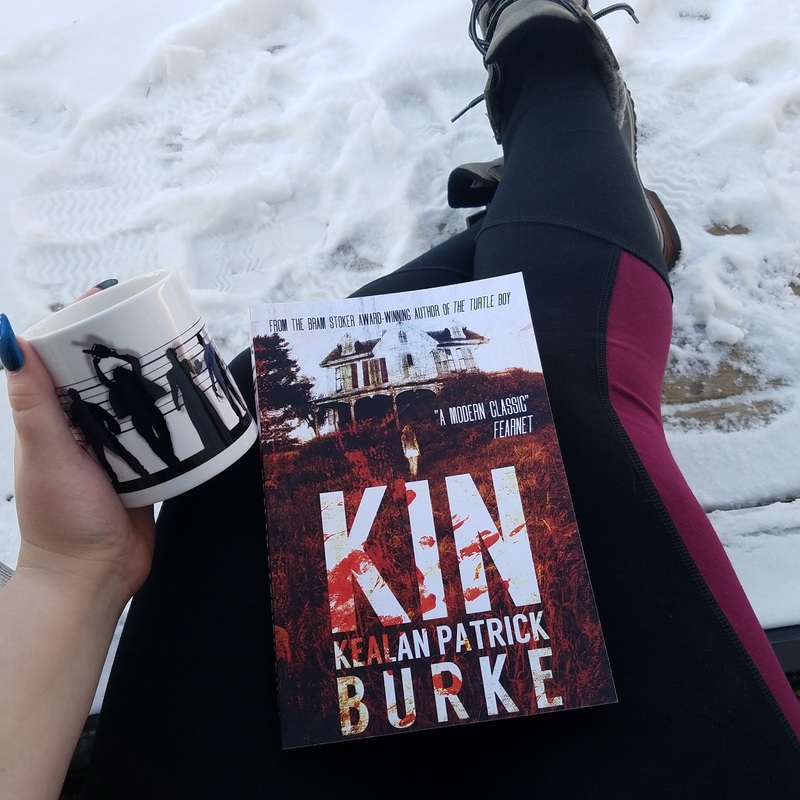 The book starting with a mutilated Claire on the side of the road is definitely attention grabbing and the reader knows they're in for a ride. Now the cannibalistic Merrill family is coming for her. We are introduced to more characters that are also seeking vengeance on this murderous and completely demented family. Mama-in-bed and Papa-in-gray are the heads of this twisted family and their impression will definitely stay with the readers. It's so hard to say more about what happens without giving away the gruesome events. I did enjoy the multiple view points of the different characters. We got to see through the eyes of the victims of the Merrill family, as well as some of the family members. 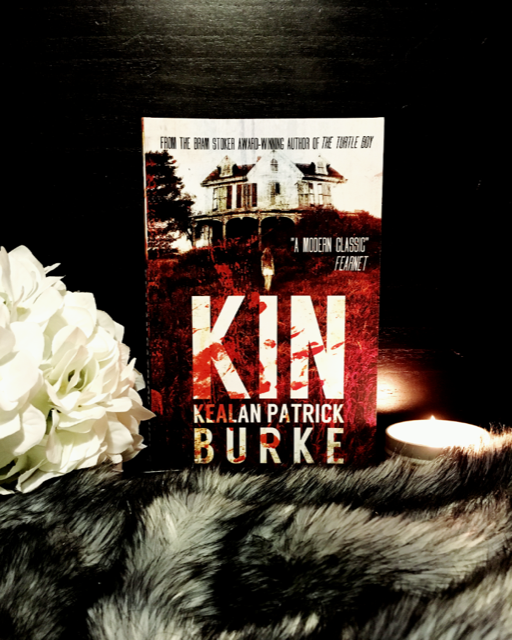 This book is one that fans of gore and horror will love. The comparisons to Texas Chainsaw Massacre, Wrong Turn, and Deliverance are spot on. Burke does a great job setting the scene and pulling the reader into that house. We experience the emotions the characters do and it will leave an eerie impression. Overall, if you like gore and cannibal horror movies, then this needs to be on your list!